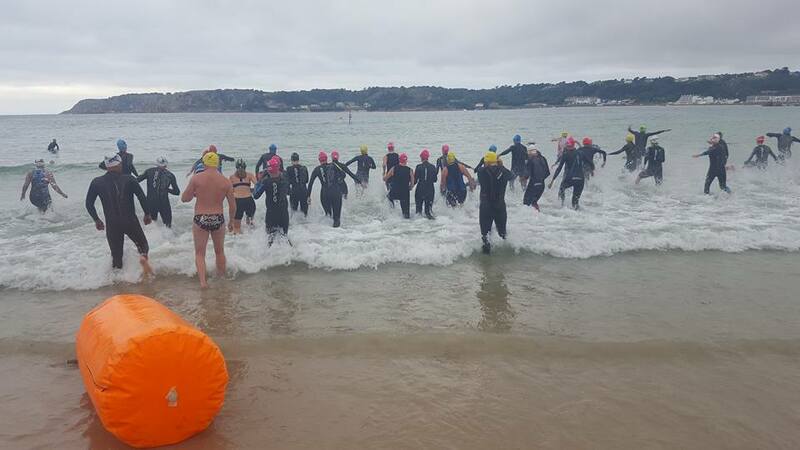 Jersey Triathlon Club are holding an introductory triathlon in order to encourage participation in triathlon in a fun and supportive environment. The event is open to male and female novices. You don’t have to be a first-timer to be considered a novice but you cannot be an accomplished or experienced triathlete. The Jersey Triathlon Club is generously supported by the Ana Leaf Foundation which enables us to offer a varied and exciting local event programme. The event will take place on Sunday 25 June 2017 Gorey. Not sure? Don’t worry! We are here to help! The first step is to come along to an introductory meeting which will take place towards the end of March – date and location to be confirmed shortly. Here you will be able to meet and speak with other like-minded athletes and the coaching team. On signing up you will receive a 12 week training programme to take you from a complete novice to being able to complete a super sprint triathlon. The entry fee will be £30 (£25 early bird for those who sign up before 11th April) and includes the race itself, the 12 week training programme, a goody bag , a £10 charity donation and lots of help and advice! We have chosen the local Jersey charity ‘After Breast Cancer (ABC)’ as our charity partner for the event this year. We have created a Facebook page called “2017 Try-A-Tri with Jersey Tri Club” Here you can keep up to date with the latest training news, ask any questions and get tips from the Try-A-Tri team. We want to help you unlock your personal potential way beyond what you ever considered possible. Be a part of our community and give Tri a Try! What’s involved in our Super Sprint Triathlon? A link to sign up for the 12 week programme will be available here shortly but in the meantime join the Facebook page “2017 Try-A-Tri with Jersey Tri Club” if you want to keep up to date with this event!. Thank you.